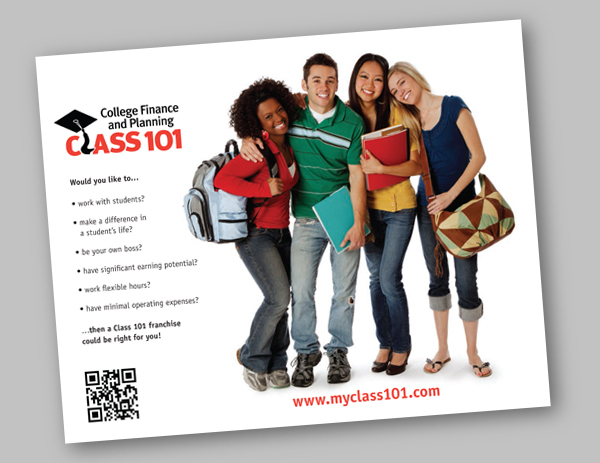 Class 101’s business was growing and had opened several franchises in the area. 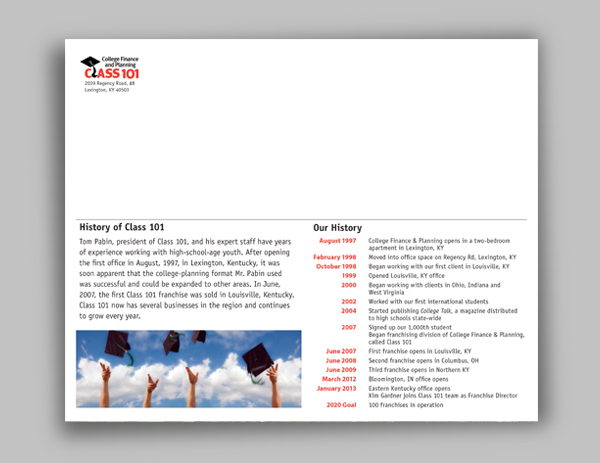 Tom Pabin, owner of Class 101, contacted the Arion Group to design a brochure to take to franchise trade shows. 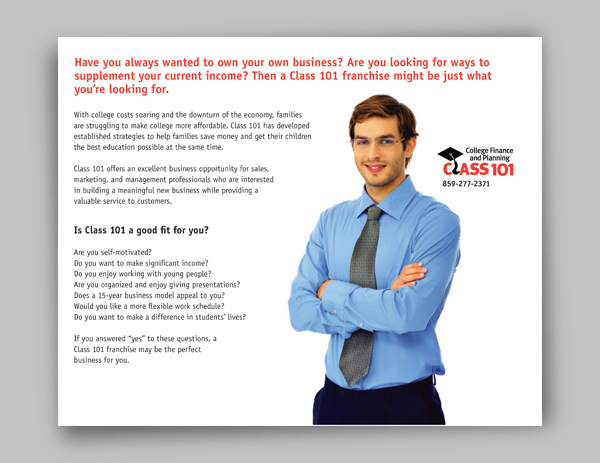 Tom wanted the piece to thoroughly convince potential franchise owners of the benefits of owning a Class 101 franchise. He wanted the piece to communicate the fun of working with young people to help them achieve their dreams. 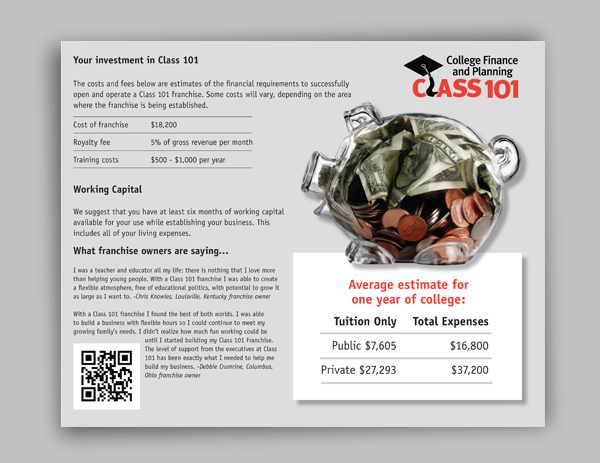 The piece provided information on how affordable a Class 101 franchise is to own, as well as what materials and services were to be provided to franchise owners. 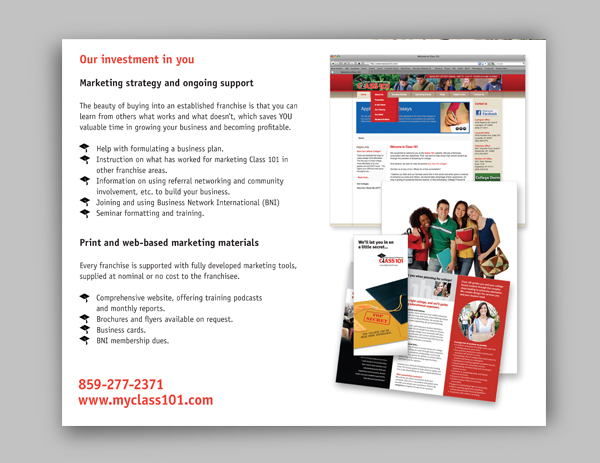 For help creating your next brochure, contact us today.